Former England number eight and Harlequins captain Nick Easter has retired from playing at the age of 37. Easter won 54 England caps and played 281 times for Quins, more than any other player in the professional era. The forward took on a player-coach role working with Harlequins' defence in April and will now concentrate on coaching full-time. He played in three World Cups and helped Quins win their first Premiership title in 2012. Easter said he took time to think about his career after director of rugby John Kingston offered him the player-coach role. "I realised that whether I'm playing or coaching, there was no possible way I would be able to give 100% to both of my roles at the same time," he told the Harlequins website. "I thought, why not grab the opportunity of becoming a coach with both hands, give it my best shot and feel privileged to be in a position to go out on my own terms after 12 great years as a player for Harlequins?" Easter won the first of his 54 England caps, aged 28, against Italy in the 2007 Six Nations and in his fifth appearance became the first number eight to score four tries for England as they beat Wales 62-5. He went on to help England reach the final of that year's World Cup, where they were beaten by South Africa in Paris. 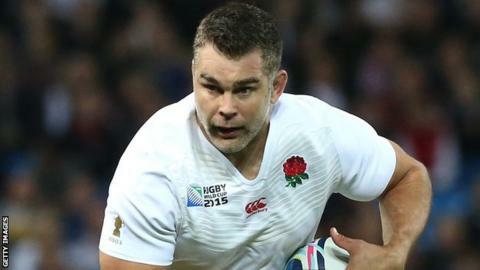 After a four-year absence, Easter returned to international duty for the 2015 Six Nations and became England's oldest try scorer, in the victory over Italy. He was part of the squad for that year's World Cup, scoring a hat-trick in his final appearance for his country in a 60-3 thrashing of Uruguay in their final pool match. Easter also captained his country twice - in a defeat by Ireland during the 2011 Six Nations and a win over Samoa in November 2010. Easter joined Quins from Orrell in 2004 and helped the club win the Challenge Cup in 2011, the LV= Cup in 2013 and promotion back to the top flight after a season in the old National One in 2006. "Nick has been an unbelievable servant to the Harlequins team for over a decade," said Kingston. "He has been at the very heartbeat of all the successes the side has achieved over this period. "While a Quins team without Nick at the helm may seem strange at first, his influence on the group will, if anything, be even greater in his new role as first XV defence coach."